Yaskawa Motoman, an American subsidiary of Yaskawa Electric Corporation, was founded in 1989 and since then have been able to get over 380,000 industrial robots, 10 million servos, and 18 million drives into automation systems around the world. 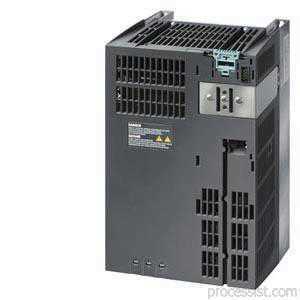 Robots are the wave of the future and Yaskawa Motoman is at the top of this market. Using an automated robotic system in your work space will allow you to free up many other costs and resources that may not have been available before. The key to efficiency is simplicity and using Motoman Teach Pendants to give instructions to your robot makes that possible. Teach Pendants are non-tethered devices that allow your robot to be controlled remotely. These devices are crucial for industrial robotics as they are not only used for assigning operations but they are able to edit commands, emergency stop commands, and even view past operations. Motoman Teach Pendants are split between the older models(ERC, XRC, MRC) and the newer models(DX and NX Series’). 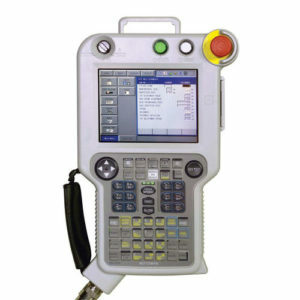 The older models such as the MRC, which came out in 1994, were able to increase the workload of an industrial robot by up to 300%. This was also the first time ever that a single teach pendant was able to control two robots at the same time. Four years later when the XRC model was released, it was a huge improvement as Motoman was able to add control of more axes and even up its synchronous control of two robots to four industrial robots. Later in 2004, the NX series of controllers was released. These devices featured Windows CE with a high-power processor, back-lit color touchscreen, built-in ethernet, and a huge amount of memory. A single teach pendant can control up to 36 axes and 4 separate robots. It’s Advanced Robot Motion control allows for the most accurate results. 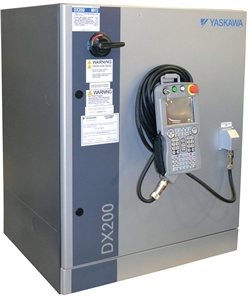 For information about the DX series, please visit one of our previous blog posts featuring the DX200 controller and Yaskawa’s new ArcWorld project. The RM2-Series Positioners are are powered with three AC servo motor drives and have a payload capacity of 1555 on each side. With a 6.5 second rapid indexing time, the positioners have a part length between 3000mm and 3500mm. Convenient slip ring built for the fixture of utilites such as Ethernet and DeviceNet. 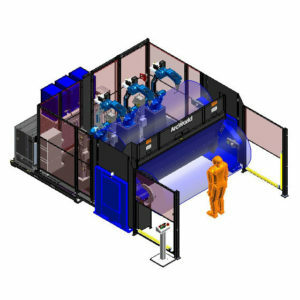 The positioner uses MotoMount mounting technology inside of the Yaskawa ArcWorld Unit. 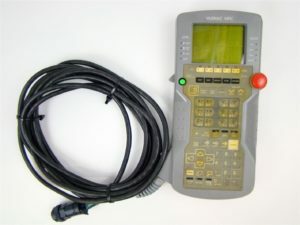 Typically used inside of the ArcWorld 6000 line is the DX200 controller. 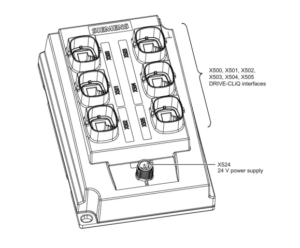 These controllers can coordinate motion between 8 robots with up to 72 axes. Its Advanced Robot Motion control gives the ArcWorld unit the ability to use the arc’s at their peak performance with pinpoint precision. DX200 controllers are available with Cat 3 Functional Safety Unit. 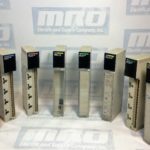 Maintenance is hardly necessary as these controllers efficiently use energy and use top of the line prevention methods for most types of failures. 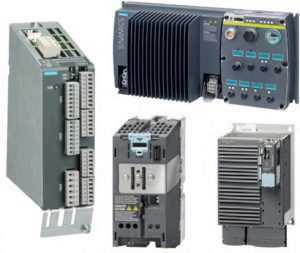 Contact Yaskawa Motoman right now to inquiry on price options for different ArcWorld models and make your automation system perform at its best.